Author Aaron Smith’s expert of espionage, Richard Monroe springs to treacherous life in a new format! Pro Se Productions’ NOBODY DIES FOR FREE is now available as an audiobook produced by Radio Archives! After years of loyally serving his country in the CIA, Richard Monroe wants nothing more than early retirement and a peaceful life in Paris with the only woman he's ever truly loved. But when an assassin's bullet takes his happiness away, Monroe embarks on a quest to find the man responsible for the tragedy. Monroe is soon recruited back into the clandestine services, but with a difference. Now he's a lone agent reporting to a supervisor so mysterious that the official agencies don't even know he exists. In his new position, Monroe will deal with situations too delicate and too dangerous for the CIA or FBI to handle. 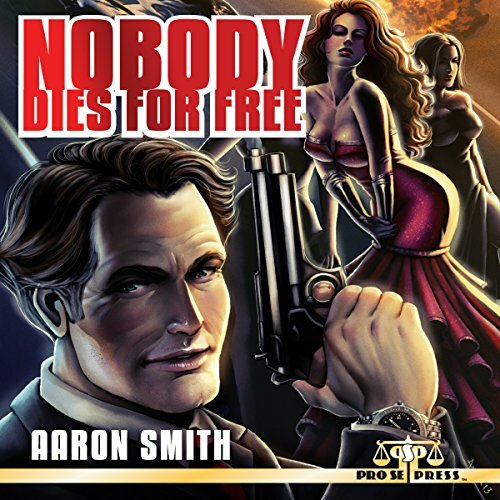 Featuring a wonderful cover by Ariane Soares and an intense narrative performance by George Kuch, The NOBODY DIES FOR FREE audiobook is available now at Amazon at http://www.amazon.com/Nobody-Dies-for-Free/dp/B017IZQDOQ/ref=sr_1_1?ie=UTF8&qid=1446661572&sr=8-1&keywords=Nobody+Dies+for+Free+audio. It is also available on Audible at http://www.audible.com/pd/Sci-Fi-Fantasy/The-Iqaluk-Chronicles-http://www.audible.com/pd/Mysteries-Thrillers/Nobody-Dies-for-Free-Audiobook/B017IZQEL8/ref=a_search_c4_1_5_srTtl?qid=1446661604&sr=1-5 and will be available on ITunes as well. Print and digital versions of NOBODY DIES FOR FREE are also available at Amazon and other online retailers.To learn more about Pro Se Productions, go to www.prose-press.com. Like Pro Se on Facebook at www.facebook.com/ProSeProductions.